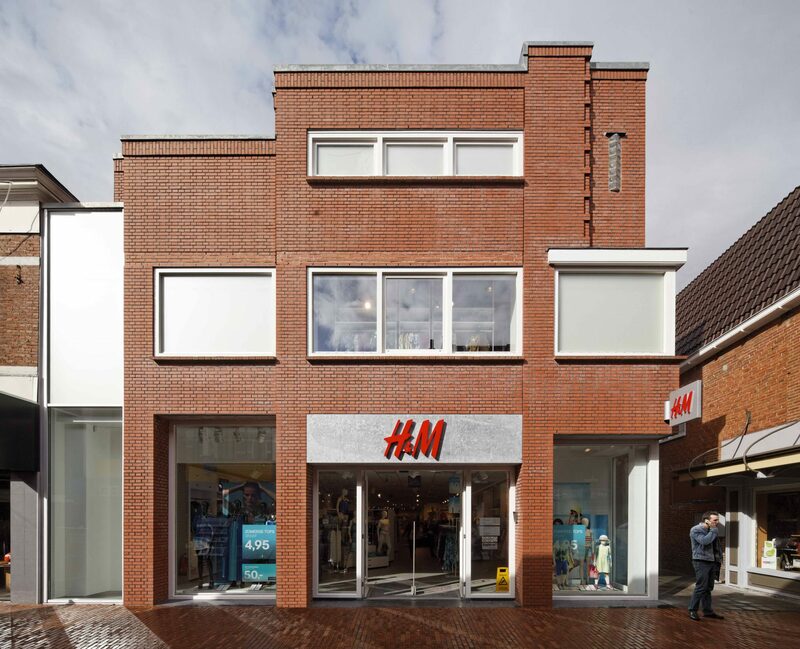 On behalf of Back Vastgoed and international fashion retailer Hennes and Maurits, architect Arnoud Olie made a design for a shop in Winschoten. 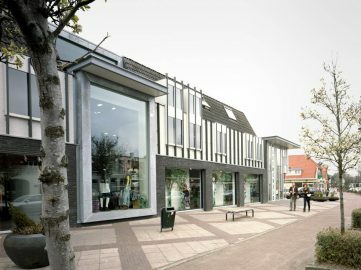 The former building on the site no longer met today’s requirements for shops and renovation was not an option. 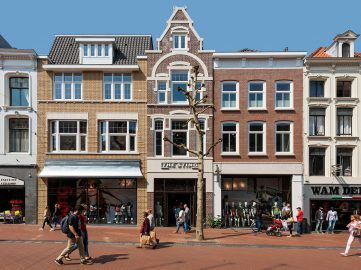 There are regulations prescribed by the municipality to keep the streets in the centre consistent, therefore the new façade is identical to the former building. 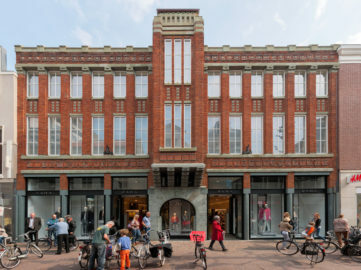 Influences of the Amsterdam School can be seen in the masonry, the edges and some details in the back. The glass blocks, originating from the old façade, have been reused.